Pulse of the City News’ research department uses industry-unique, sample-based tracking systems to determine customer satisfaction ratings for companies across the United States. Our team analyzes research and information gathered from nominations, online business and consumer user-review websites, blogs, social media, business-rating services, and other credible sources. Our proprietary information analysis protocol distills all the collected information into one score. We report that fair and balanced rating for each deserving company. The great majority of industry participants do not achieve high enough scores to earn a Pulse Star rating. 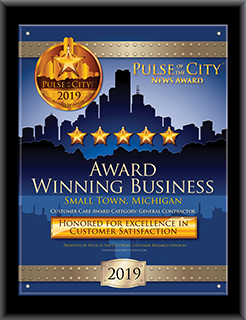 The Pulse of the City Customer Satisfaction Award is then bestowed on those companies that have received the highest possible rating of 4 or 5 stars, and the winners are then published on our website with their own Star Page. Find your rating…find the best.